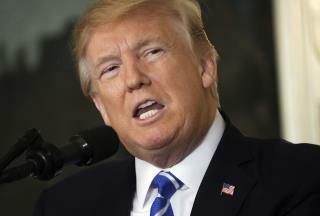 (Newser) – President Trump had a busy morning on Twitter Wednesday, and his decision to retweet three anti-Muslim videos is making headlines not only in the US but in the UK. That's because the videos originated with an ultranationalist political figure in Britain named Jayda Fransen. The videos, here, here, and here, have the titles of "Islamist mob pushes teenage boy off roof and beats him to death!," "Muslim Destroys a Statue of Virgin Mary!," and "Muslim migrant beats up Dutch boy on crutches!" The authenticity of the videos couldn't be verified, reports the Washington Post. Fransen, deputy chief of the far-right group Britain First, has a history of anti-Islamic statements. She was convicted last year of "religiously aggravated harassment" after shouting at a woman wearing a hijab in public, reports the Guardian. This discussion should be about UK problems, and they have some serious ones. More terrorist behavior and attacks happen there, more than here. Possibly one reason is the number of extreme Islamic anti-Christian loud mouths, who stand on street corners and preach their filth. The government response? 'We're keeping an eye on them". I don't care what country your in, standing on a corner, preaching propaganda that some people will get sucked into believing, will only create more anti-UK and American actors. This isn't about hard working Muslims going to work every day and supporting a family. They are not in that crowd of listeners, and when approached, they walk away. If someone is doing that on my street corner, the police will come and arrest them for some minor infraction, and then do some investigating into that individual, and the reason behind their behavior. If anyone doubts, this, look at all the investigations into groups who DIDN'T have any ulterior motive for their meetings. Europe is basically saying NO to any immigrants now, because some of the bad guys got in through legal channels. Ironic that the ones who need rescue are the very ones fleeing oppressive regimes, and are being left to drown in their hastily built boats. Republican Congress may have to open another investigation of the Clinton family to get to the bottom of this.